has changed bath time for good! BabyDam has been designed specifically to turn your family bath into your baby’s own, giving them lots of room for fun and enjoyment! The BabyDam is the only baby bath that grows with your child, it can be repositioned in the bath as they grow accordingly. It can be used with newborn babies from the outset, with no need to use a traditional baby bath. Busy parents with newborns or toddlers know how important it is to save time where they can, and every parent knows the value of even a few minutes saved in a busy schedule. 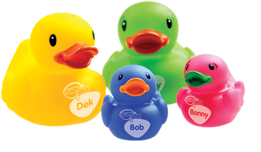 BabyDam will enable you to create a baby bath in your family bath filled with water and ready for use in moments. So why waste time filling the whole bath for your baby when half or less will do? The smallest standard family bath requires around 56 litres of water to create a useable depth in which to bath a baby. Using BabyDam in this type of bath fitted at approximately halfway would save, in this instance, 28 litres of water per bath. BabyDam can be placed at any point to create the required useable bathing space. Using the figures above, a BabyDam being used once every day for a year would, therefore, save 10,220 litres of water per child and a BabyDam being used for up to two and a half years would save an impressive 22,550 litres of water per child. 808,000 births take place on average each year and this number is still growing. across the UK each year. Astonishingly this is enough water to fill 3,250 Olympic sized swimming pools. Imagine the overwhelming saving over 10 years. 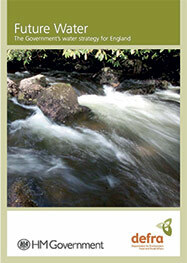 Saving Water Initiative Future Water, the Government’s water strategy for England, outlines a vision for the average person to reduce the water they use by 20 litres per day. BabyDam will help achieve this. Start is a national initiative by The Prince’s Charities Foundation to promote and celebrate sustainable living. This encourages every person in a four-person household to replace one bath a week with a five-minute shower. Now new parents can do their bit towards this initiative by using BabyDam for a baby. Heating water in our homes accounts for 25% of all energy usage (uswitch July 2010). Using BabyDam to bath your baby will make a genuine reduction to every parent’s household heating bill and collectively can make a substantial contribution to the nation’s energy saving requirement.